Ed DaSilva (Exodus) forwarded Endor Base this appearance request from Spirit Halloween via Mary Franklin. It is my understanding at this time that the first right of refusal for this event goes to 501st members. And the Rebel Legion is invited to pinch hit for any store locations lacking 501st volunteers. Please understand that Mary Franklin did say either 501st or RL costumes will work, but since the invite went to the 501st first - we must do the polite thing and give their members the first opportunity to sign up. Each store only requires one appearance on one day - not multiple days. The volunteers are choosing the single day convenient for them. So for example, once the store in Concord is covered for any one of the 3 days, Concord will not continue to have appearances on additional days. I believe that our appearance ties in with the Celebration V marketing campaign going on in the Spirit Halloween stores. Requested character types: First option is going to 501st costumers. Second preference is high profile formal RL costumes. Informal/medium profile costumes can also be considered. Mary suggested that the costumes be easily recognizable characters "Like a Jedi or trooper or Vader or Obi-Wan..."
"Spirit Halloween stores are looking to have in-store character events during the week leading up to Halloween. They are hoping that two costumed characters per store could come in at three San Francisco area locations. I’m sorry I don’t have those locations yet, but I’m working to get them as quickly as I can. The two costumed characters could take their pick: either October 28, 29, or 30, starting at 4:00 PM to 6:00 PM. The two characters would just need to be there on one of those days. We have told the Spirit stores of the need to have a safe area for the characters to change, and water. However, they are not providing anything else from the store. Please let me know if there is anything else you need. We very much hope a couple folks can go, but on the other hand I don’t want to pressure and say this is a high-priority request. If you could let me know by Monday, October 19th, the names of the characters who are going, and a contact number, that will be great. "Either 501st or Rebel is just fine. I think since it’s a Spirit store they should be an easily recognized character. Like a Jedi or trooper or Vader or Obi-Wan. Maybe not, say, a Wat Tambor!" 2. 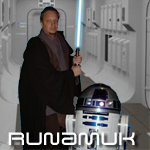 Runamuk - (Scott) - Generic Jedi or Handler (waiting to make sure Mary is fine with two jedi, or if scott should be a handler). Please sign up below if you have a store (or stores) you can volunteer for. Generic Jedi costume. Let me know if you need me to link pictures for Mary's approval. Great! Nope - this shouldn't need Mary's approval. I know your Generic Jedi is in formal and good condition. I guess we'll know by the evening of the 19th. Just in case, are there other dates that would work for you if say, a 501st member or another RL member can only go on the 29th? I posted on GGG that I'd be available as Anakin on the 29th at the San Mateo store IF someone else is there with me. I put in for Juno on the GGG with Tony on the 28th for Concord. I can be a handler/photographer for Concord if needed. 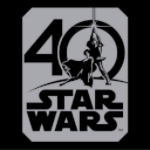 Jess is signed up for the 501st so I will be there anyway. Tony is tentative so maybe you could be a Jedi for it if he backs out. Tony called for the 28th. Whatever works...sounds like they want armor, we'll see. I put in for Juno on the GGG with Anthony on the 28th for Concord. I don't know if it's that they want armor, it's more the way the invite came about. Mary contacted GGG first. Ed D. was unsure if 501st could cover 3 locations and asked her if she had considered asking RL. So after the request had already gone out to 501st Mary did say that either 501st or RL costumes would be fine. Sooo... this is more "Endor Base" being polite and not cutting in on the invite that originally was sent to 501st. We'll help out if there are spots not claimed by 501st. Jessica, what date did you guys pick to support concord? Scott, technically Robin signed up first for the 30th, so she'd have first dibs if they could make room for a rebel. You have second dibs. I guess we are waiting to hear about handlers too. So I'll note that you did request being a handler and hopefully Ed D. won't have a problem honoring that since you seem to be the first offering to be a handler at Concord. Tony originally asked for the 28th. But like I said he is tentative right now. I can be flexible. Too bad the times overlap for the Hiller Museum event on the 30th. It would've been nice to do both without having to go down that way twice in two days. But I guess I could use one day to check out the huge costume (not Spirit) shop in Redwood City. My preference is still for Hiller... that's why I didnt' sign up for the Spirit Stores. The only other date would be Oct. 29th. I think I'll be too tired on Oct. 28th because I will have just gotten back from SW Fan Days III. Besides, it looks like you have enough RL back-up for Oct. 28th. So, if all else fails, I'm flexible for both Oct. 29th and Oct. 30th, but would prefer Oct. 30th since it's a Friday, I will be in play mode and live less than 2 minutes from the Concord/Pleasant Hill Spirit Store (been there, done that, saw it, fun!). To troop or not to troop...In any event, it doesn't matter to me. If you need me, I'll do my best efforts to show up and make a good appearance for the Rebel Legion.